Welcome to Flying Class with the lovely Madam Hooch. 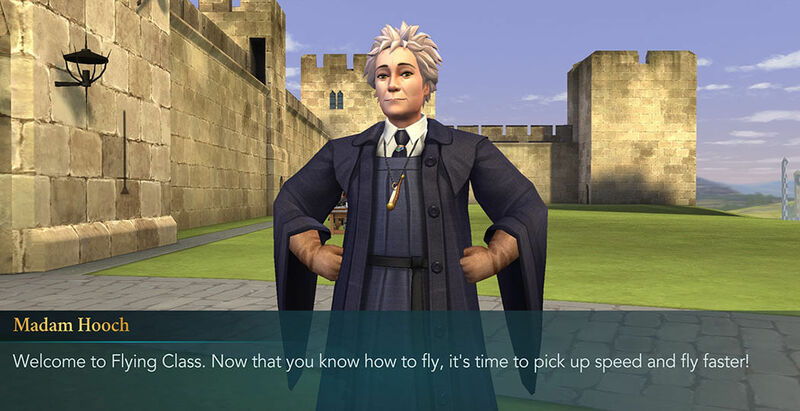 After spending an entire year at Hogwarts, she expects you to have a firm grasp on your broom when flying, hence the increase in lesson difficulty. This time, instead of just flying, you will learn to fly FAST! That’s right. 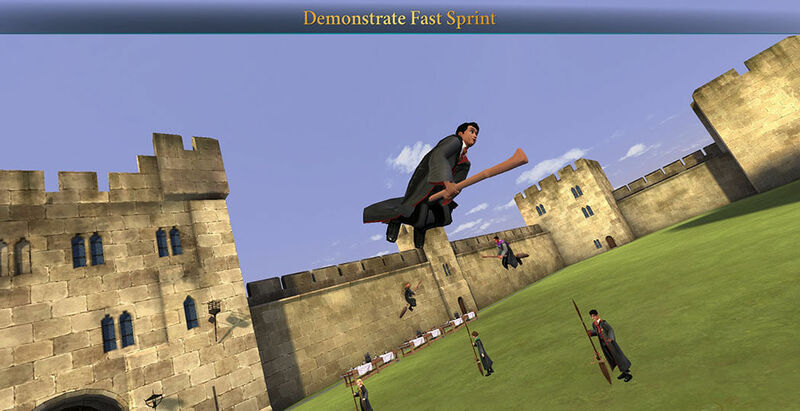 This time around, you’re going to be picking up speed on your broom. Faster flying can be more exciting but more dangerous as well. Keep your head up and stay focused. You probably remember this part from year one as well. 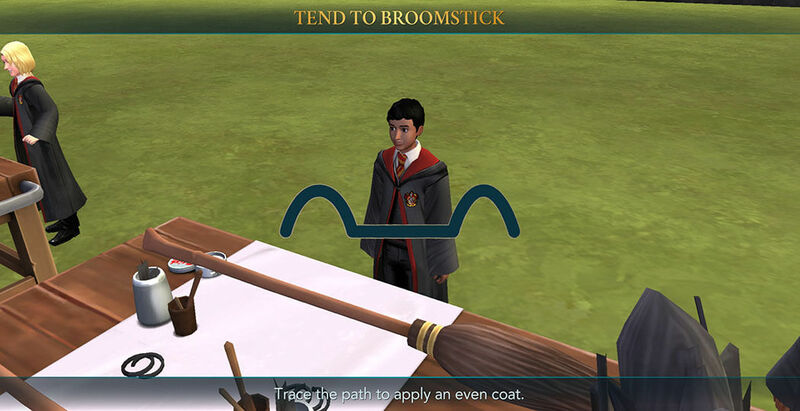 But Madam Hooch insists on proper broom maintenance. She says it’s key to flying well. If you treat your broom with respect, it will return the favor. Tend to your broom as instructed. Apply the wax and run it in equally along its entire length. It worth mentioning that if you don’t do this, splinter might appear on your broom and that would not make for a comfortable flight. Go around the class gathering tips. 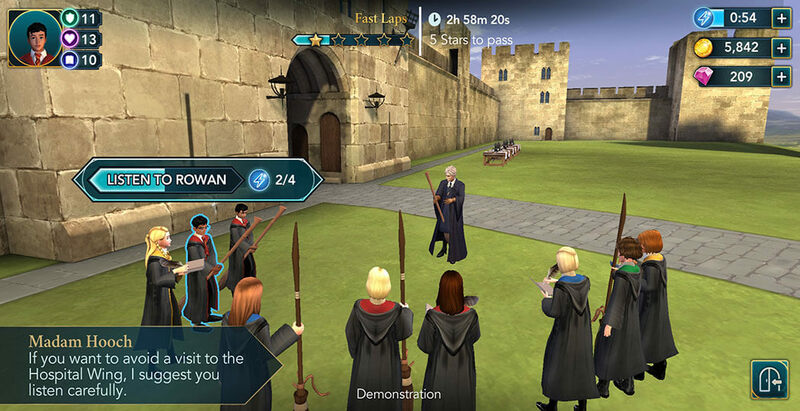 Observe Madam Hooch as she flies on her broom, talk to Rowan and your other classmates to potentially receive some tips. Once again, you seemed to have proven yourself the most competent student in class and the Professor has selected you as the first one to try out this new flying mechanic. Up and away you go. Mounting the broom and Taking Off are no issue for you, and you in the air in no time. When it comes to demonstrate the fast flying lesson, you excel once again. Like a fish in water. 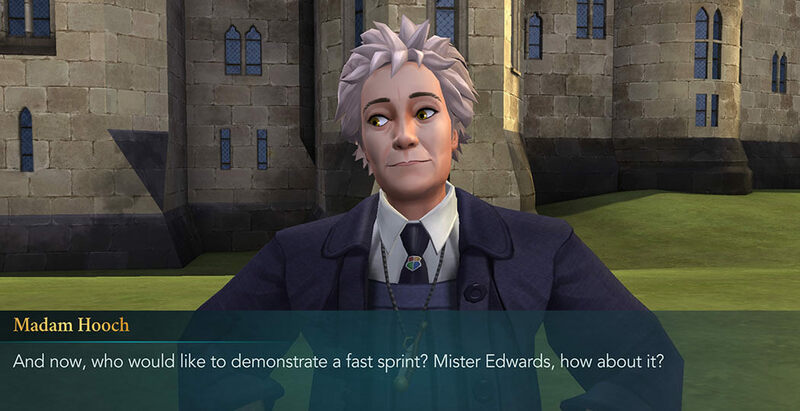 You’re turning out to be quite a promising wizard. The standard tips and advice go for this lesson as well. 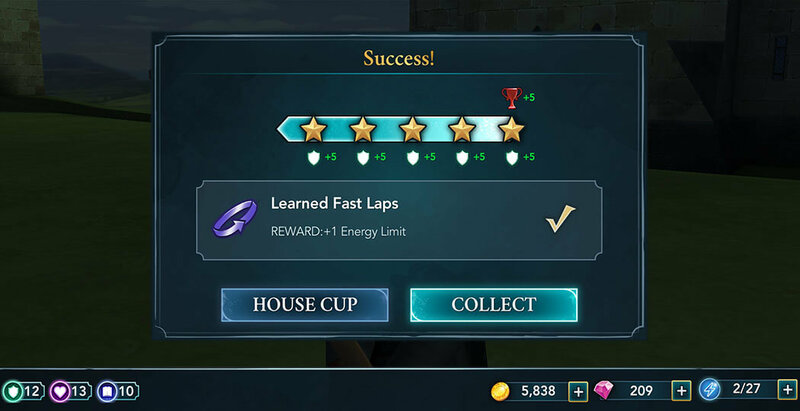 You will need to gather 5 stars in 3 hours, so it’s recommended that you start with full energy.